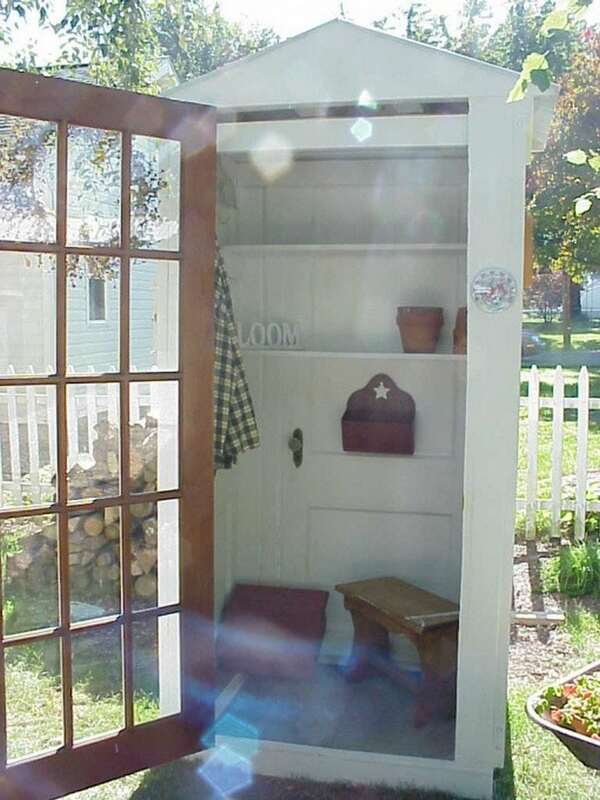 You can attach four doors with some hinges and install a roof to create this darling little nook. This nightstand was crafted from an old door, some pieces of fencing, and two squares of wood. You can get the directions on how to make one on your own here. 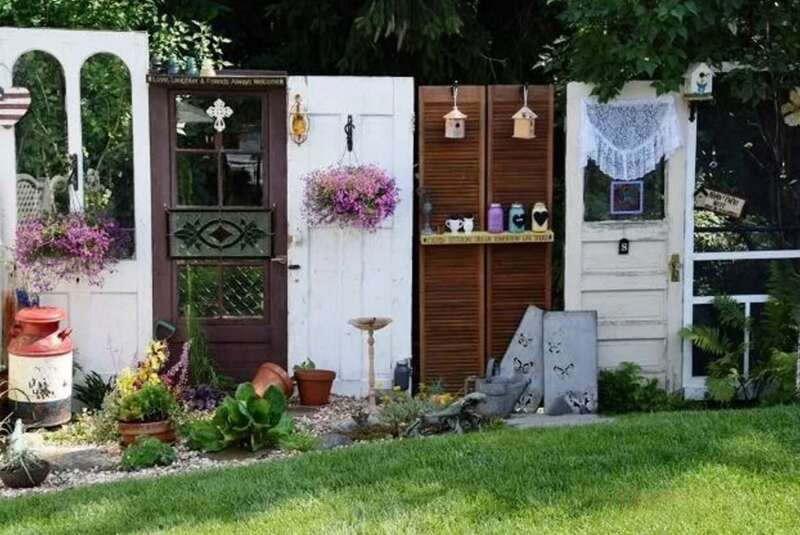 Using doors to create a fence creates a beautiful focal point in your yard. You can make a foundation for your doors or secure them with some posts. 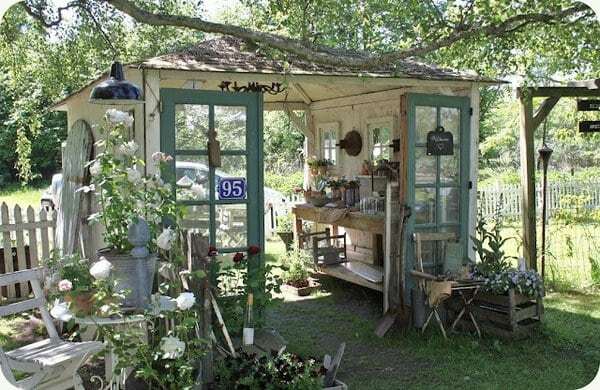 This garden shed is absolutely adorable and was made with a few old doors. This is a simple project that involves hanging some shelves on a door frame. You can attach a built-in light if you want to make it fancier. 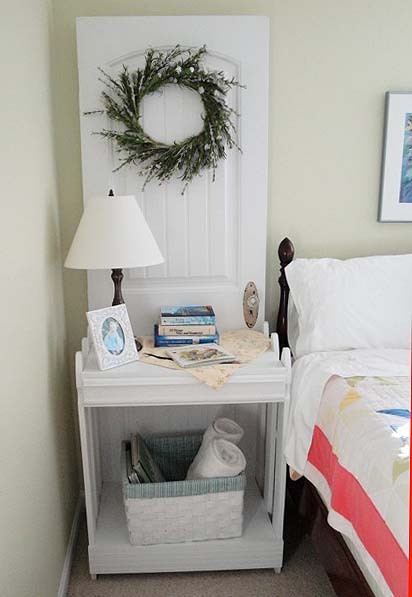 You can attach a door to an existing small set of drawers to create this hallway table stand. 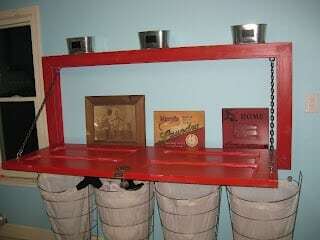 You can even add a shelf up top and also include some hooks. 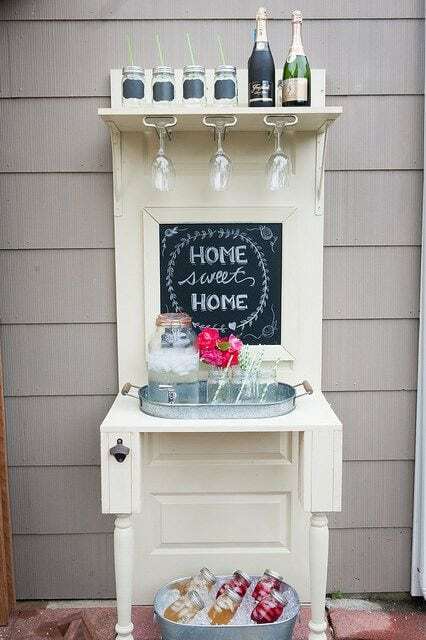 This is the most adorable project and is perfect for inside or outside your home when you are entertaining. There are lots of different designs for these so you can get creative. You can find instructions on how to make one here. 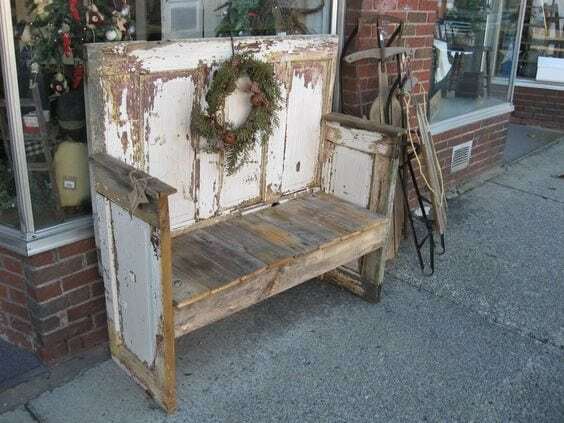 You can upcycle a door and a table to create a DIY potting table for your garden. You can get a tutorial and check out different designs here. 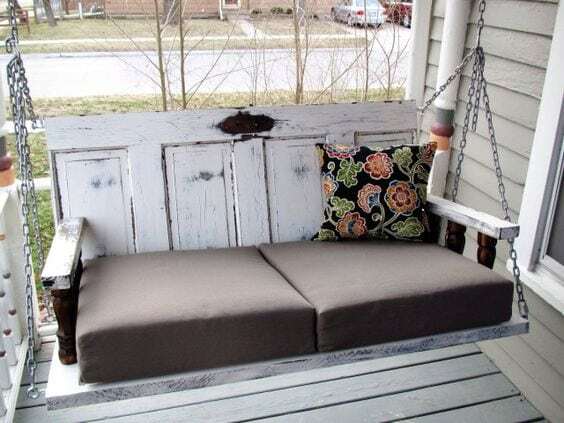 You can create a bench from some doors in about 60 minutes. Get the tutorial here. 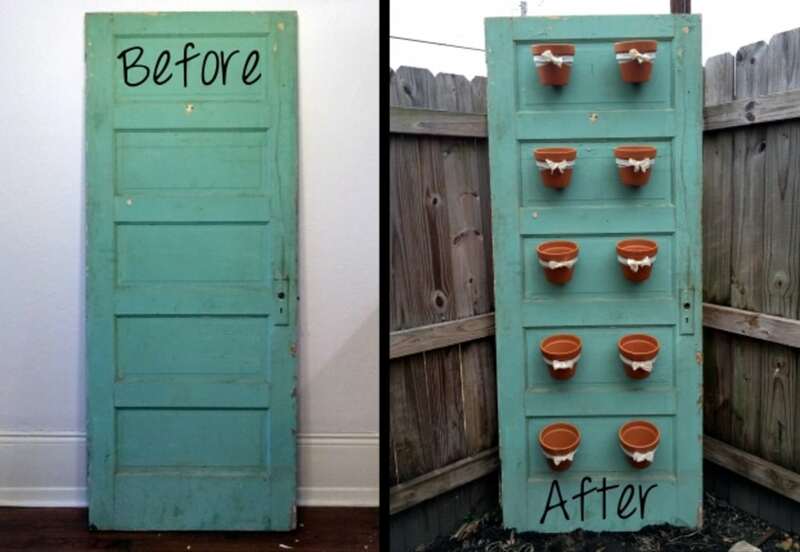 Just hang some pots on a door to create a cute planter. You can find the tutorial on how to make the one below here. 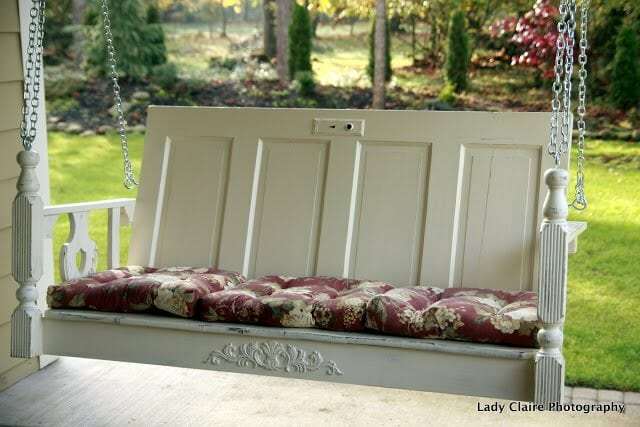 You can also use some doors to create an upcycled swing. Here‘s how they did it at Huckleberry Lane. 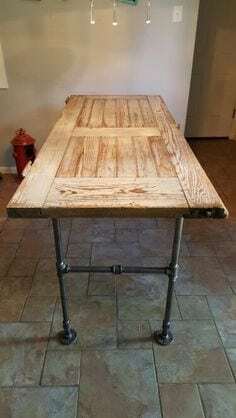 You can toss some legs onto an old door and turn it into a table. 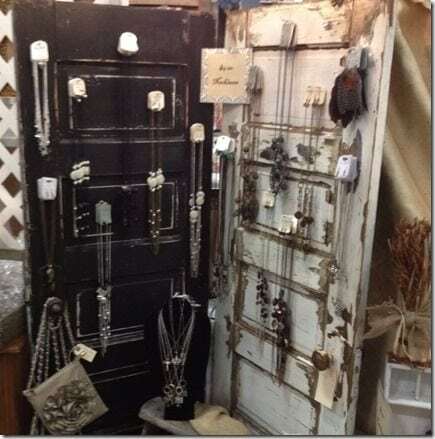 Add some hooks to a door, and use it as a jewelry organizer. 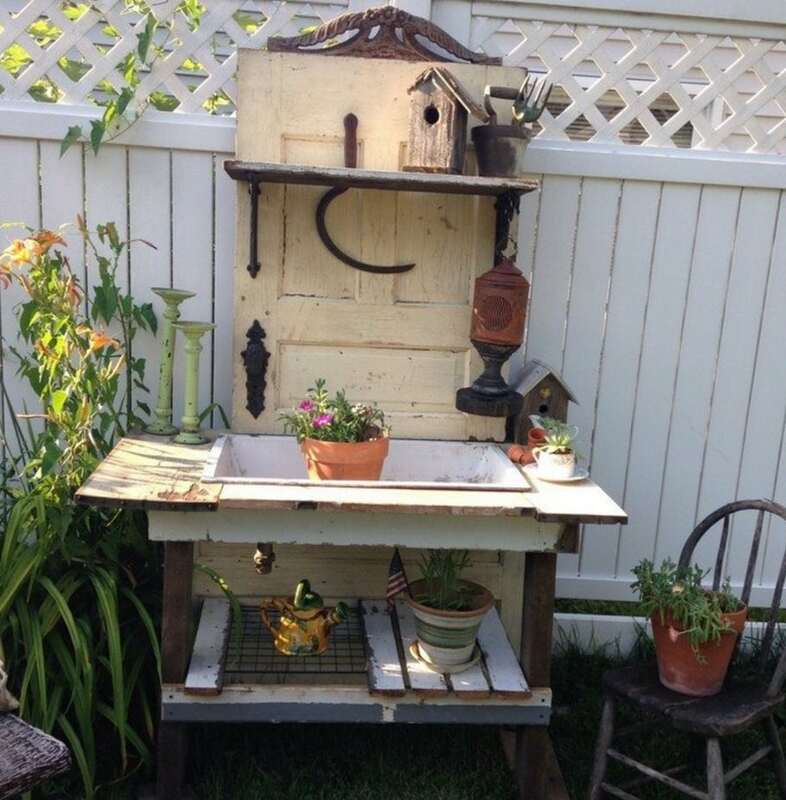 If you have some carpentry skills, you can create a base and add a door to it to create a kitchen island. 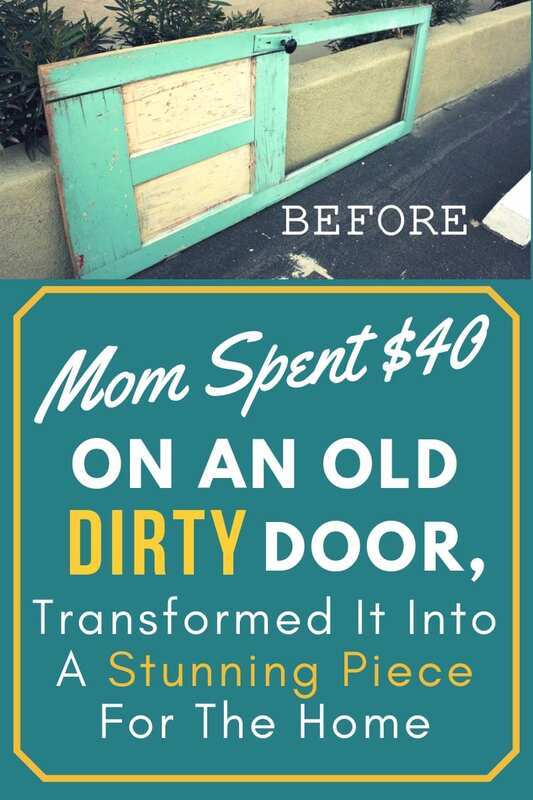 If you hang a door and use some chalkboard paint, you can turn a door into your family’s message board. 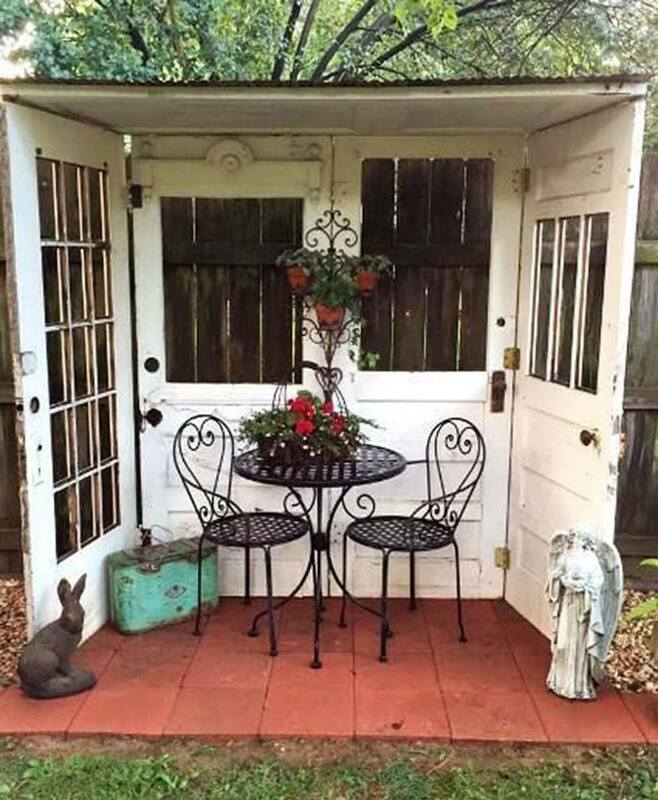 This door was combined with a half table and shelf to create an adorable garden station or accent table. 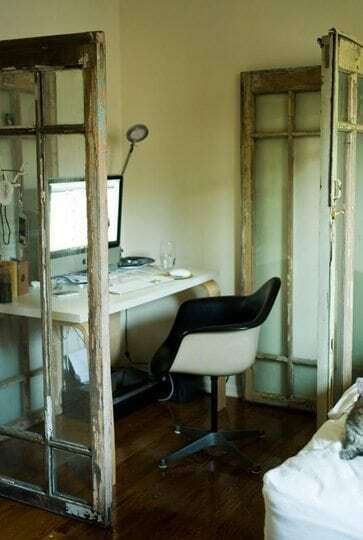 These glass doors were repositioned and used to create a closed-off little nook. 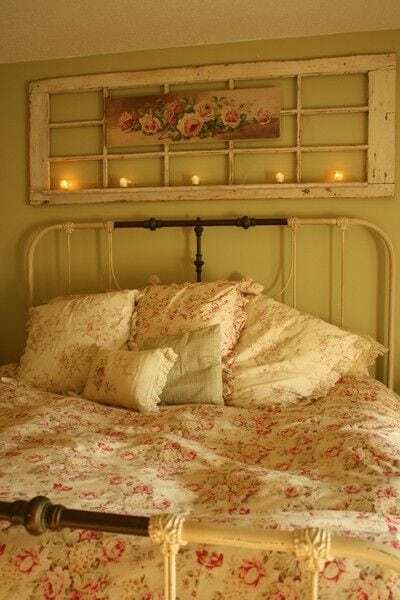 This vintage glass door was positioned above a bed frame to create a shabby chic-looking accent piece for your bedroom. 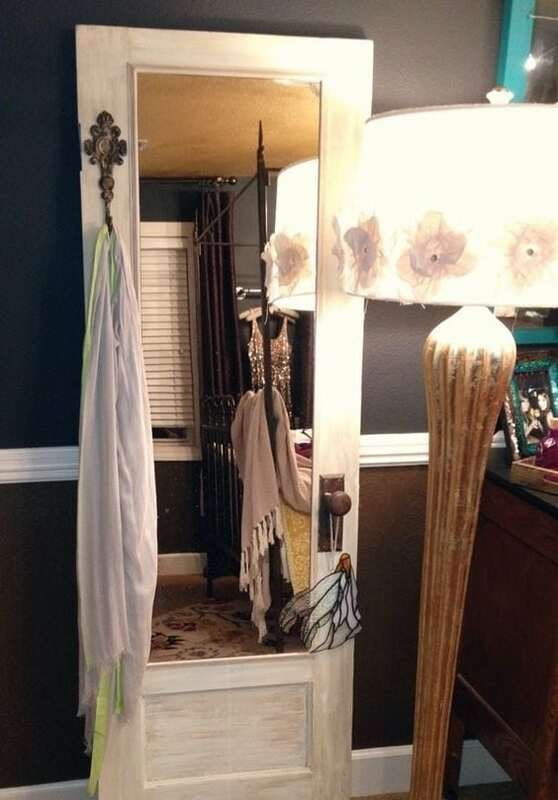 This door was repurposed into a mirror along with a convenient hook to hang clothing from. 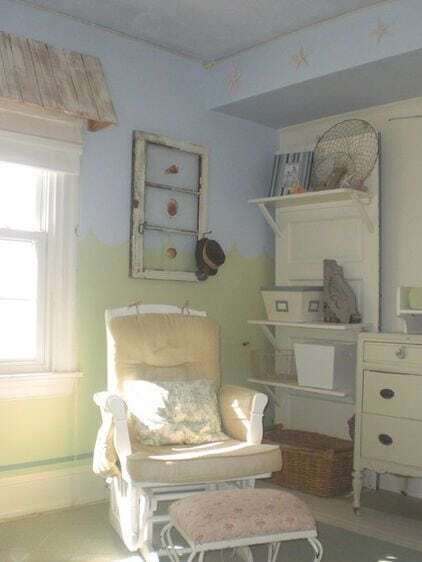 A few floating shelves were added to this old door to make a neat shelf. This door is now a headboard that includes a convenient lamp. 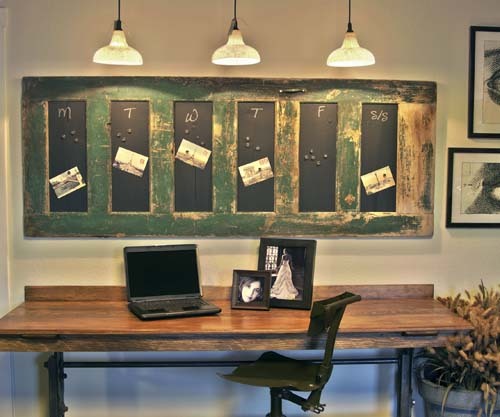 You can slap a coat of some chalkboard paint to create a unique family calendar. Why go out and buy an expensive bathroom organizer? 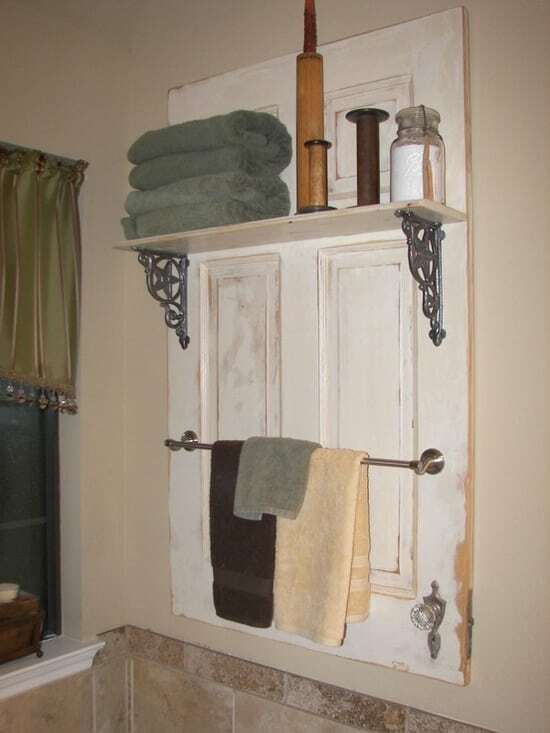 All you need to do is attach a simple hanging shelf and towel rack to an old door. Just nail the door frame to your wall, and use some chains to secure the door in order to create this really neat-looking laundry table. 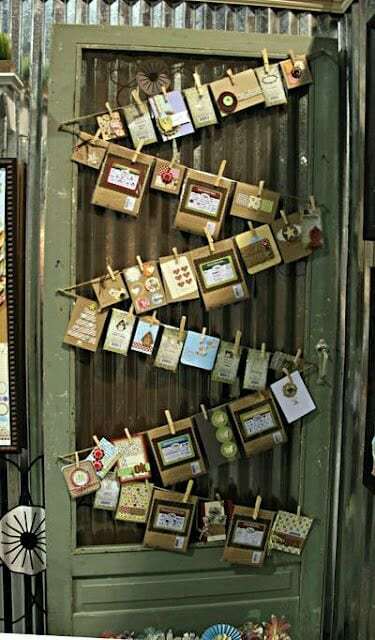 You can use an old door to create this charming photo display. 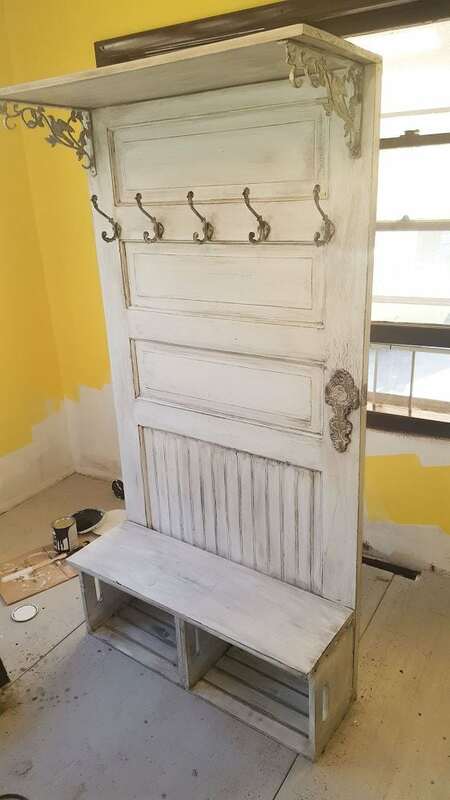 A few hooks and a few crates were added to this old door to make this really cool coat hanger. Need a coffee table? 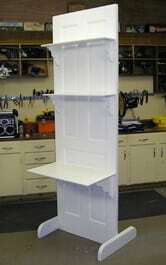 Chop up a door, put it back together again in the shape of a box, and add some casters to it. 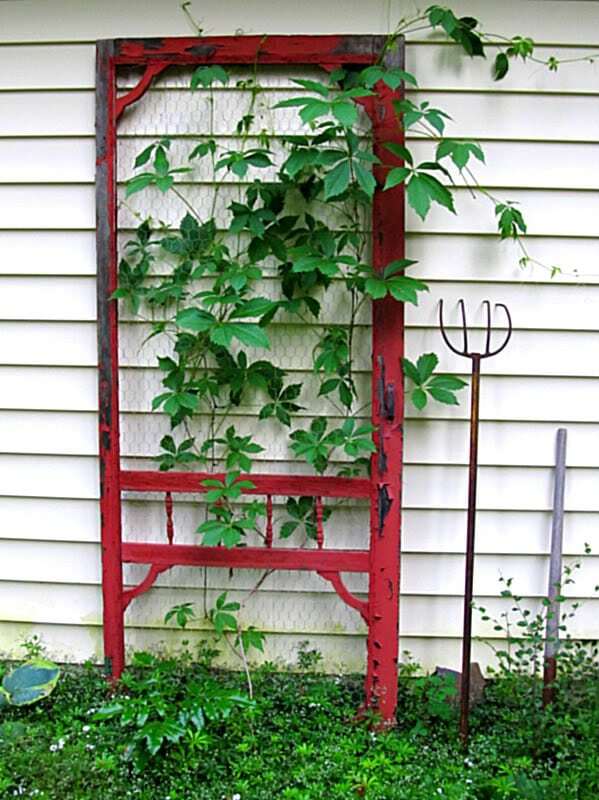 The frames of this door were salvaged and repurposed into a garden trellis. 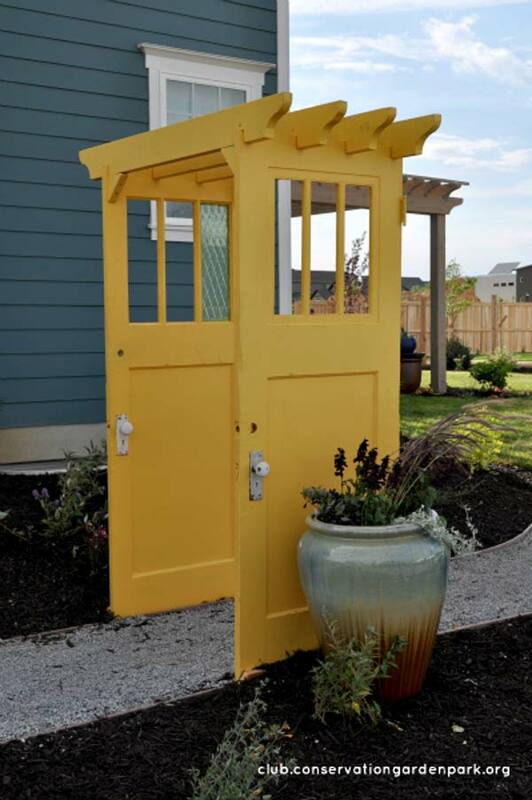 Make your garden look like another dimension with this magical garden door. 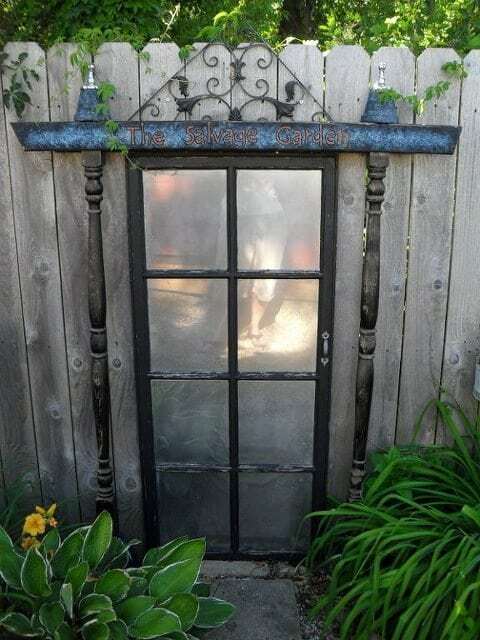 Just prop up a door against your fence, and make a creative doorway for it. 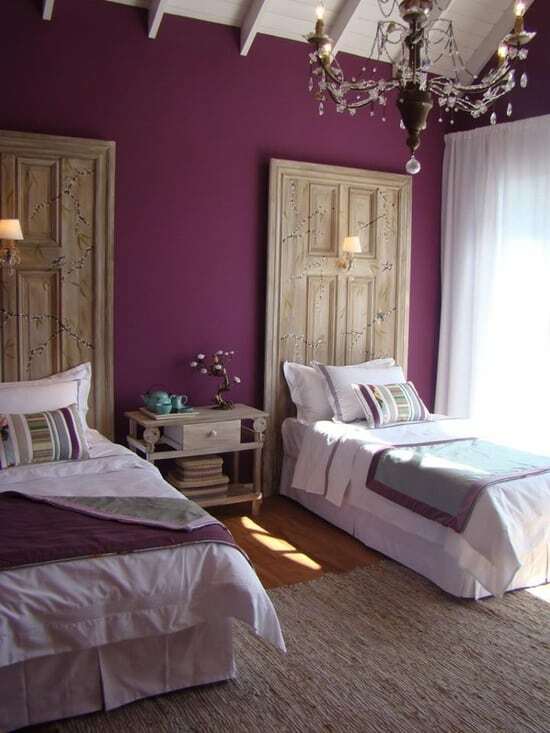 Add some reflective paper behind the windows of the doors to make it look magical. Find out how it’s done here. 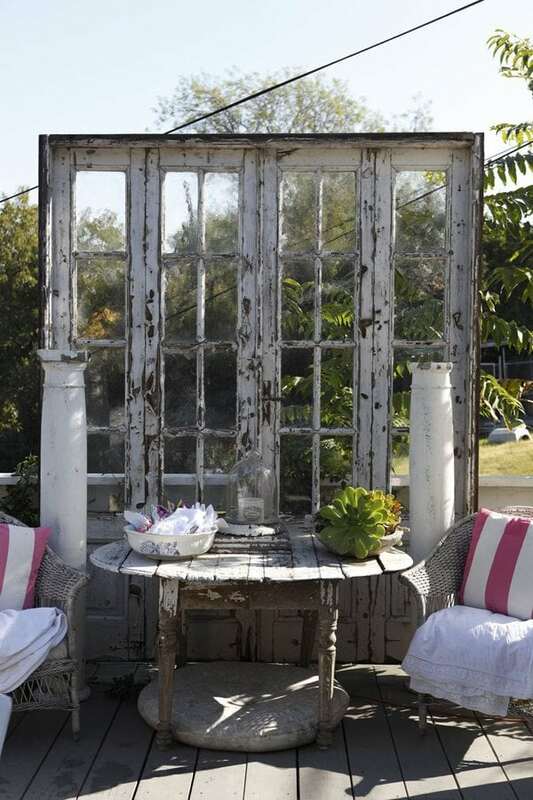 If your patio or sitting space is looking a little bare, try giving it a backdrop. 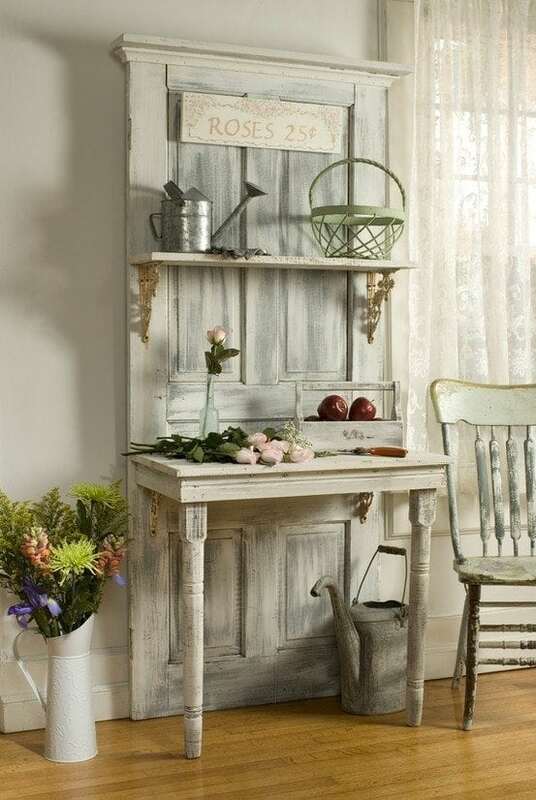 Placing two vintage doors together is the perfect way to create the backdrop. It gives the space a unique feel. 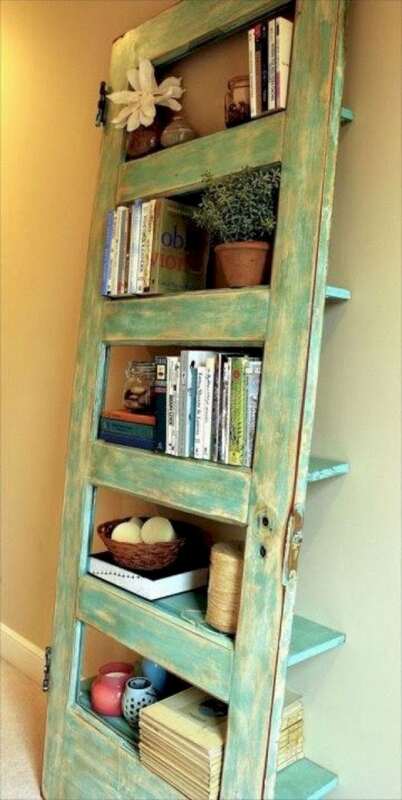 Attach the old door to a track and add some rollers to the bottom to make a perfect sliding pantry door. 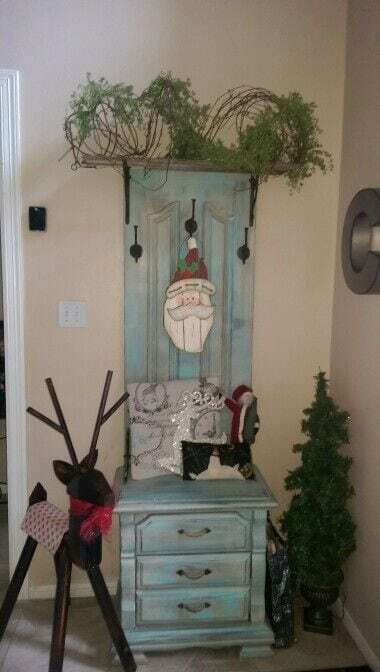 Stand an old door up, and attach a table. Follow this with some corbels and planks to make a desk with a shelf. Hang your old door from a tree branch using some sturdy rope. 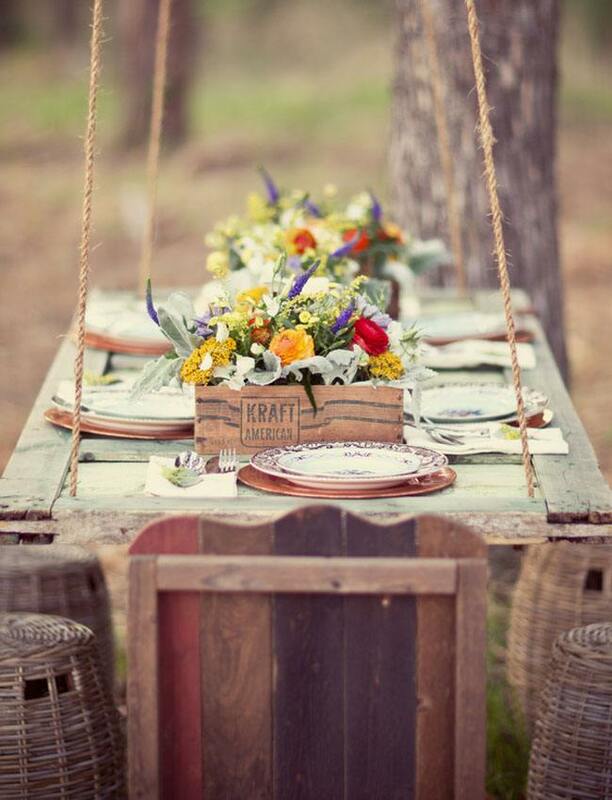 The door makes a perfect table for a picnic when used this way. 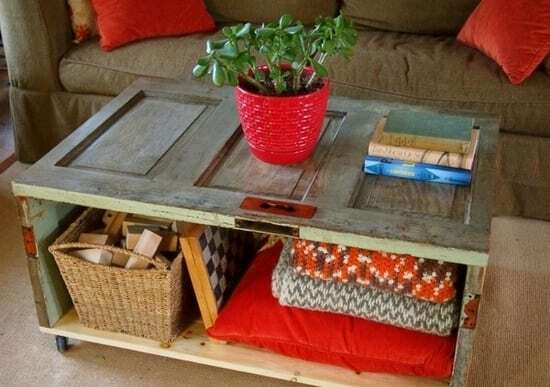 Tear apart your door, and use the wood to build a sofa frame. Add some cushions for comfort.